The Minister for Agriculture, Simon Coveney announced the details of the new GLAS scheme last week. Further information was included in the Rural Development Programme sent to Brussels, (this document has been published on the Dept. of Agricultures Website, a link is provided below). There are small, but significant changes from the previous proposals and while there is no fine detail on the options within the scheme, the structure appears more workable than that described in previous drafts. The payment rates for the different components of the scheme are shown in the table below. While it is not certain, I believe that the rates for Chough, Corncrake, Geese and Swans and Hen Harrier will only be available on lands designated as Special Protection Areas for these species. Information on these can be found on the NPWS website. As regards the measures for Grey Partridge, this will probably be limited to the Lough Boora area in Co. Offaly, although it is possible that a site in North Co. Dublin may also be included. The payment rates for Grey Partridge appear confusing as there is no area payment, only a linear one. This is because that option will require the planting of lines of Kale within tillage fields, the payment of €2.10/ m is per m of Kale planted. It is potentially a very generous payment for eligible farmers. The option for Twite will probably also be restricted to a small area, the Mullet peninsula in Co. Mayo is the most likely but small areas in Sligo and Donegal may be considered as well. As regards Commonage, the situation is clearer than it had been. Thankfully the Dept. of Agriculture have removed the 80% agreement requirement. It has been replaced by a requirement for agreement from a simple majority of either active shareholders or from a group of shareholders holding more than 50% of the land. This is a huge improvement and while there may still be local difficulties it is to be hoped that the soon to be established Implementation Committee will be able to recommend derogations where particular problems prove intractable. 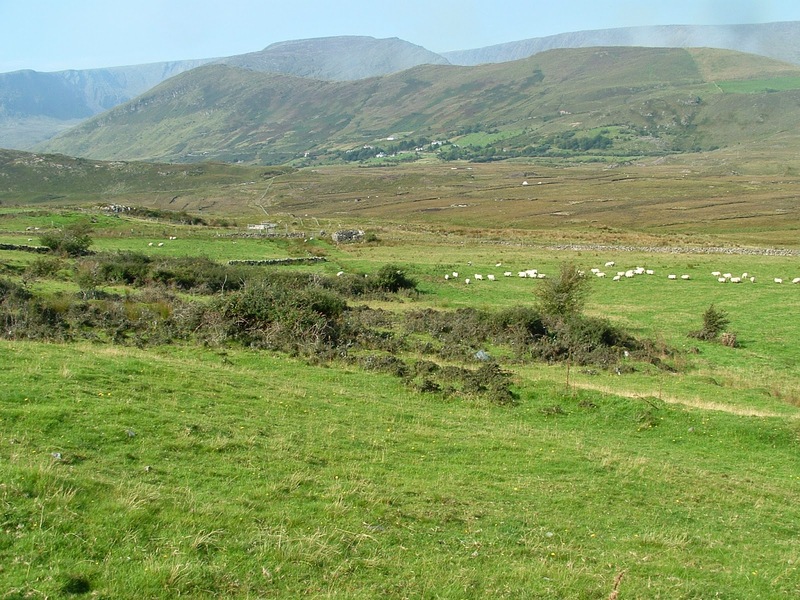 The increase in payment for commonage from €75 to €120 per Hectare is also to be welcomed. We can expect negotiations between the Dept. of Agriculture and the EU Commission to take a number of months. During that period, work on developing the specifications for the scheme will proceed. The specifications and the terms and conditions will contain the small print and fine details of how the scheme will operate, they may prove to be of greater significance to farmers than the broad brush strokes of the RDP application. • Having one GLAS planner for a commonage makes sense, as it is obvious that there can only be one grazing plan for the commonage. However the implications of this at farm level could be problematic. Do the Dept of Agriculture want one planner to write a commonage plan and go on to produce the GLAS applications for all the individual farmers or will that commonage plan be made available to other planners who then incorporate it into individual GLAS applications? • When will the process of producing commonage plans commence? • Will commonage plans have to be complete before individual farmers apply for GLAS or can they be incorporated later? • Will the Dept. of Agriculture permit commonage plans or GLAS applications to be amended later in the contract period? These are serious issues, the Dept. of Agriculture's collective approach to commonage management is a radical change and its successful implementation demands time and flexibility if it is to be successful. Insisting on one planner producing the individual GLAS applications is a risky step, the choice of planner is potentially a cause of disagreement at a very early stage in the process. However it is also a strategy that will come under huge pressure in the case of farmers who have shares in multiple commonages. For example, a client of ours has shares in eight different commonages, any requirement to have all the farmers (who wish to join GLAS) in all eight of those commonages to pick the same planner is unlikely to succeed and would most likely exclude this farmer from the scheme. His absence would then threaten the prospects of the farmers in all eight commonages reaching the 50% threshold. This is a senseless and pointless risk for all concerned, yes one planner should produce the grazing plan and facilitate agreements among shareholders, but individual farmers should then be free to choose their own planner to produce a GLAS application for their farm, an application which would of course incorporate the commonage plan. As regards when the work on producing grazing plans should commence, everyone should appreciate that this will be a huge undertaking, involving possibly up to 4,500 commonage parcels and 7-8,000 farmers. The Dept. of Agricultures target is to get approx. 150,000 Ha of commonage under GLAS contracts, this is very ambitious and will not happen overnight. It is a huge task and it will take a considerable amount of time. Remember the Commonage Framework Plans took over 6 years to produce and the planners in that process did not have the added challenge of trying to achieve agreement among farmers to contend with. The process should not be rushed, but the time has come to tell stakeholders, what the Dept. of Agriculture expect from a collective agreement. Decisions on how much time will be available to produce such plans and on how advisors will be trained to do this work are required as a matter of urgency. These should be among the first items on the implementation Committee's agenda. There is a considerable risk that training advisors will be left until the RDP comes into force in January 2015, i.e. when funding for CPD (Continuous Professional Development) come on line. This would be a disastrous development for commonage farmers, as by then advisors will be fully focussed on producing GLAS applications (albeit for non-commonage clients). The result would be a poor uptake by advisors and very poor entry rates into the scheme by commonage farmers in 2015. • Accession or withdrawal of participating farmers. • Changes on individual farms necessitated by change of ownership, poor health, changing farm enterprises. • To correct for negative but unforeseen impacts of aspects of the original agreement. While facilitating amendments may make the management of the scheme more complex for the Dept. of Agriculture, a failure to allow for this will lead to the progressive unwinding of agreements and will undermine and discredit the scheme itself. A lot of progress has been made and both sides of the debate are to be congratulated on getting us to this point. But time is short and any loss of momentum will have consequences for commonage farmers getting into GLAS in 2015. The Commonage Implementation Committee must be put in place and must go to work immediately. Training of planners on the production of commonage plans and an information campaign for farmers should commence as soon as is practical. There is much to do and there still is time, if it is not wasted.